There are dishes which are so easy, that they can hardly be called recipes. This one is a classic example. The ingredients are minimal, preparation – down to basics. 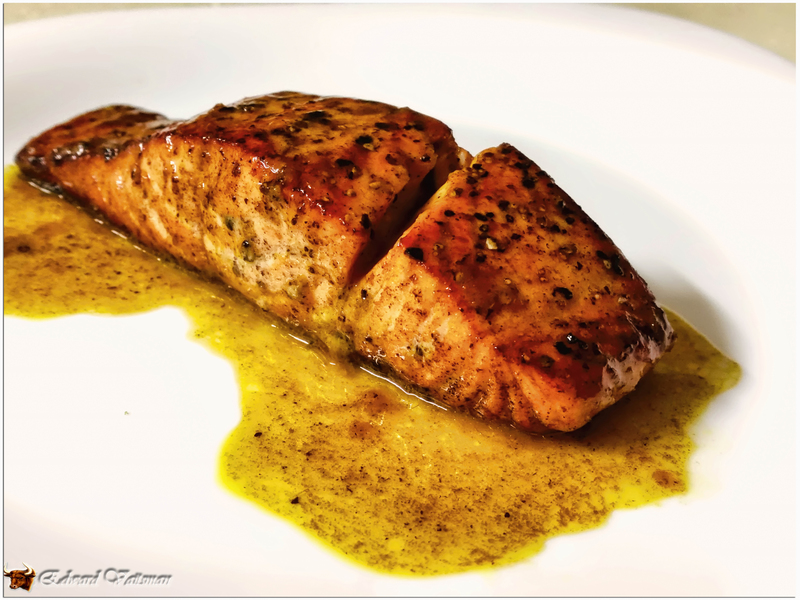 I give you pan-fried salmon with tangerine glaze! Step 1 – rinse the salmon fillets and pat dry with paper towel. Season with salt and pepper. 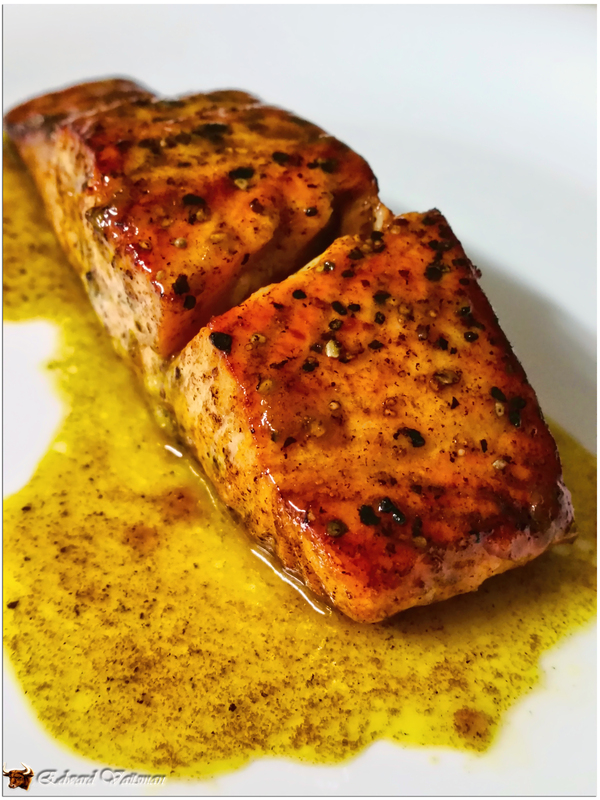 Step 2 – melt the butter in a heavy pan and fry the salmon fillets about 4-5 min each side, until golden brown. If the fillets have the skins on, start on the skin side, to get it nice and crispy. While frying, use a tablespoon to drizzle the hot butter on top of the fillets to keep them moist and cooking evenly through. Step 3 – take the fillets out of the pan and place them on a plate. Pour the tangerine juice into the pan and deglaze (that’s a fancy word for boiling the juice in the pan and scrapping the bottom with a wooden spoon 🙂 ). Reduce the juice until it thickens enough to cover a back of a spoon and looks syrupy, about 7-9 minutes. Step 4 – return the fillets gently into the pan and reheat in the glaze for about 2-3 minutes, pouring the hot glaze on top of the fillets with a tablespoon. This entry was posted in Fish and tagged butter, citrus, easy, fillet, fried, fruits, pan, quick, salmon, tangerine. This was a pure improvisation that turned out as a blast!